With Brexit uncertainty having effecting individuals right to work across the country, it is vital that HR departments start to adapt and embrace the advantages that technology offers, such as speed. A small piece of legislation was introduced by the Home Office at the end of January allowing an online programme to be released and although it may seem like a small, insignificant law to be passed, it is thought that it could greatly help the country in the midst of this Brexit chaos. Within the recruitment industry in the UK, it is known that the most valuable asset of any business is its employees. However in the past recruiting the best employees has been hard for businesses due to the lengthy process of checking whether an individual has the right to work in the UK or not. The process of checking someone’s right to work has been described as ‘lengthy and complicated’. 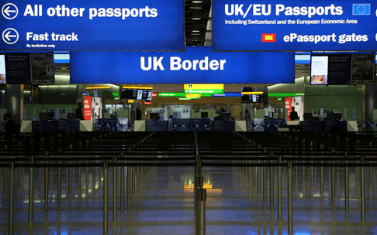 Therefore the legislative change which has allowed online checks to be carried out to see whether someone has the right to work in the UK will make a huge difference to the process. The new online system allows for business to check someone’s right to work, in real time, using a government portal which uses an individual’s biometric residence permit or residence card. Additionally, the future plans for the platform will allow for more documents to be checked online in order to prove right to work. As the country looks to a technology filled future, the need for digitisation and simplification of checking a person’s right to work has been a long time coming. Additionally with the UK’s upcoming departure from the EU the timing of the legislative change could not be better as it will help businesses adapt under the new rules. The UK has already seen that skill shortages are increasing the demand in industries such as construction and hospitality, which saw chefs born outside of the UK increase to 44% from 37%. This has therefore seen the salary rise for those chefs who businesses are scared to loose. Another area that will be heavily effected is the financial district of London as 41% of its workforce are from outside of the UK. In order for businesses to still look for migrant workforces, it is vital that research and due diligence is done to make sure that the workforce is legal regardless of industry or position. To create a software and platform that allows employers to increase the speed of the right to work checks is a positive as currently in the UK there are 3.5 million non-UK citizens. This is likely to be a lengthy and expensive process but is one that is needed and will be beneficial in the long run. It has been the goal to modernise and systematise the way in which businesses check the right to work of an individual for a long time and this also includes to make the process safer and more robust for those checking to make sure that no mistakes occur. With the UK exiting the EU and employers needing to work with greater speed and agility to keep pace with competition across the globe, using technology to speed up a traditionally lengthy and expensive processes will help. No matter how simple that technology is.